Thread: Anyone SS a carbon C'dale F29? 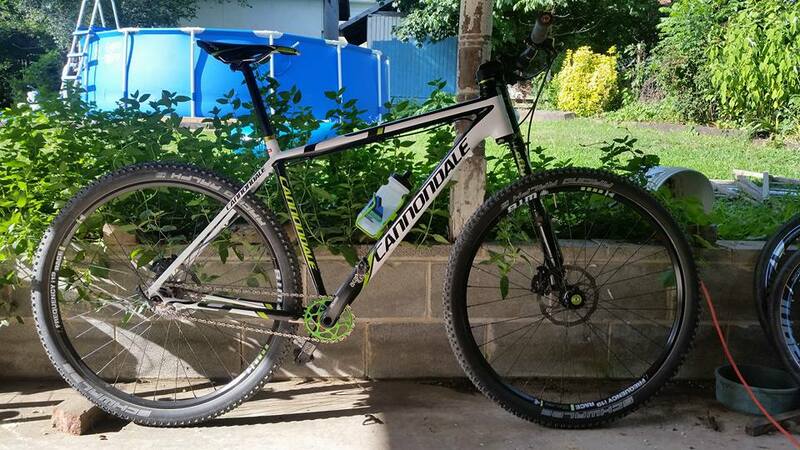 I've been wanting to try SS with my Cannondale F29 carbon...I searched and I saw several people asking but didn't seem that at least 3 years ago, there was anyone running one. Just wondering if anyone is currently riding or has ridden a SS F29 carbon and if so...what did you use for a tensionor and how did it work? I have with great success. I first had my Flash Ultimate frame set up with a Beer components eccentric BB and a XTR m960 crankset and it worked perfect. Then I drank the coolaid and got an oval ring from absolute black, which means it wouldn't fit on the 960's, so I put an X9 crankset that I had lying around and it is fantastic. It worked out that I didn't need a chain tensioner, I just got lucky. That may be due to the N/W chainring and cog, both from absolute black. I did put a Surly singleator on it just for insurance, but I didn't need it. If I get unlazy I'll take some pictures tonight. I also have the beer eccentric if you want to make your Flash a SS, I don't need it anymore. Thanks for the info. I'm still debating how I want to proceed...try the F29 as a SS or try to finagle a new frame and build a new bike. Pictures. If I can remember how to do this. Hey am very interested in this topic and Need some help with conversion above, Would it be possible to use absoluteblack n/w cog & oval ring with hollowgram cranks without a chain tensioner or eccentric BB? Videos of oval rings show a slight slack of the chain when the oval ring is going through smaller section and tension then picks up at other points, would mounting the chain in the low points of the ring be enough to keep the tension right through out with any other assistance from a EBB or tensioner? It is possible, but I think some luck would have to come into play without any use of a tensioner. The chain length on mine just happened to be perfect with the gearing I have and I didn't need a chain tensioner, but I had already bought the singleator so I threw it on for insurance. But it might not work out that perfect for you. And as others have demonstrated, you don't need a tensioner, but I prefer one just in case. The only thing I am not sure about is if AB makes an oval for the hollowgram cranks. Thanks for reply, AB makes an oval ring for the holograms, so does Garbaruk which I owned and is very well built. I have some chains laying around and some friends have other rings, I will play with a few different sizes and hopefully get the right combination to work. Just needed to know there was a possibility it works, thanks confirming it might, now I feel better about going to the process of trying it out. Finally made this happen. Used the Wheels Manufacturing EBB. Not 100% happy with it as I do get some slippage and creaking but I guess it is what it is. Frame not designed for single speed I guess will have some compromise to make it work. It does ride super nice though. Kinda sad there isn't a SS option for this frame set with proper sliders. The F29 carbon with Lefty just screams with one gear. Oh well. Now I feel bad. I'm selling my Scalpel because it was dumb of me to build 2 weight weenie cross country bikes, and the Flash has a 1x11 on it. 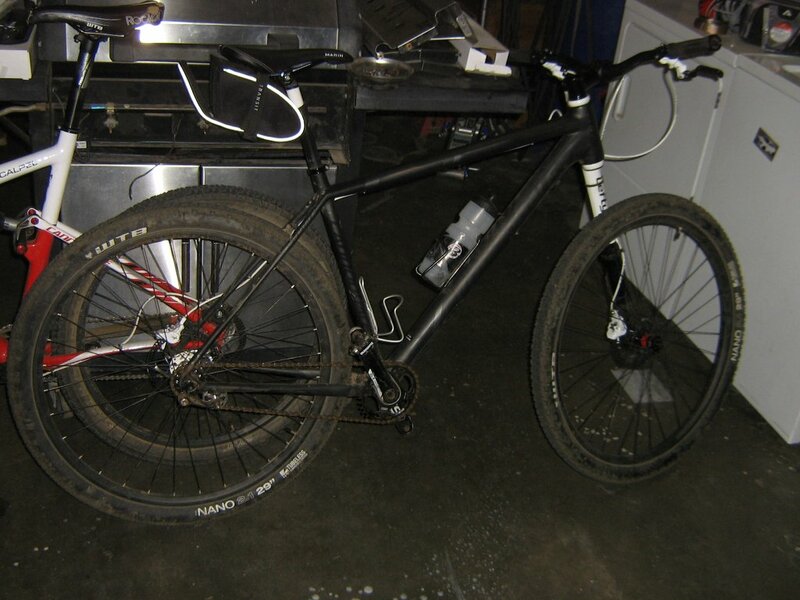 Once I get a trail bike the Flash will give its drivetrain up and go back to single speed. Its a pretty sweet ride as a single speed isn't it, I hope you are as happy with it as I was/will be again in the future. Its a nice bike with gears too, but I prefer SS. I love it but I don't love the EBB. Constantly having to adjust it. It's the Wheels Manufacturing. Might send it back and try the Beer Components or just throw a tensioner on there. Not sure either of those options are any better. Honestly, I'd like to see the bike and buy a SS CX bike. The Spot Rallye looks pretty sweet as does the Raleigh RXS but it has the EBB so...the Spot has sliders but the frame is around $1000. I'm really not budgeted to buy another bike so I have to sell something to buy something and the F29 would be the one slated to go. Last edited by lucky73; 08-09-2016 at 07:27 PM. Any issues with it? I'm looking for a single speed option to possibly convert a Trek Crockett CX bike but with a BB86.5 bottom bracket an EBB is out so it's has to be a hub or tensioner. Hub is out because I'm not spending hundreds to have a new rear wheel built, especially after I just spent hundreds to have a new wheel set built that I want to be able to use on the new bike I get...whatever it ends up being. ^ I am fairly hard on the soul craft, plus the bike does a lot of steep climbing, and I am very pleased with it how it works and how it looks (hardly notice it all now). every so often it will get bashed on a steep climb and just needs to be re-tightened. 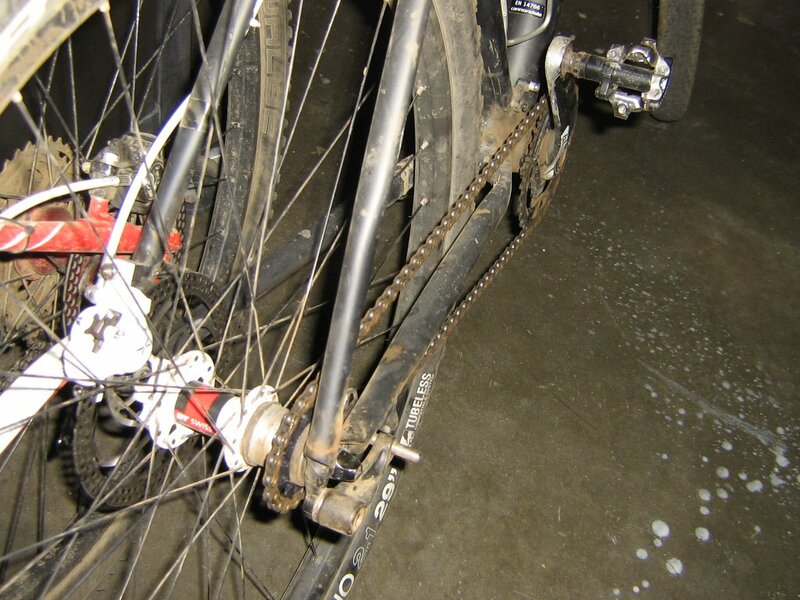 Just remember - you don't want the chain super tight, just tight enough. I'd say my FS bike with all of its gizmos is a bigger hassle (crank, fork, rear suspension, gears). I have a Paul Melvin on my desk at home that I would try out if the soul craft wasn't so good. 2013 Specialized SJ Comp Carbon, C-Dale F29-3, or Giant XTC 1 Carbon? Tough choice!